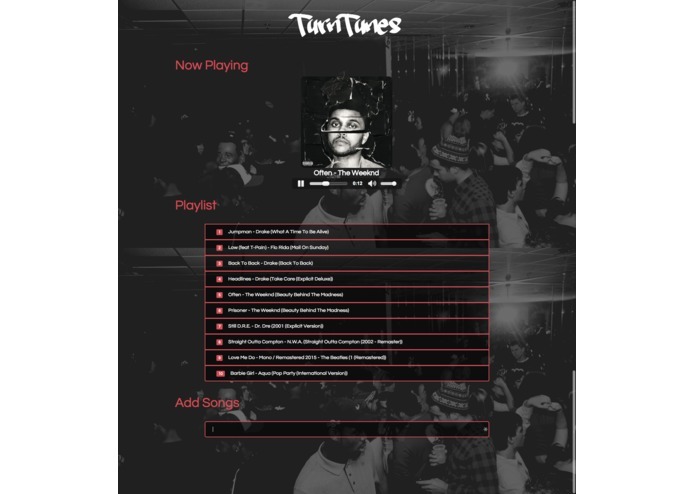 Let’s take turns playing tunes, and put together a set of turnt tunes. Among all of the exhilarating house parties we've attended, the biggest complaint we always hear is the inability for guests to contribute to the DJ's playlist. So, we wanted to revolutionize the party-going experience. 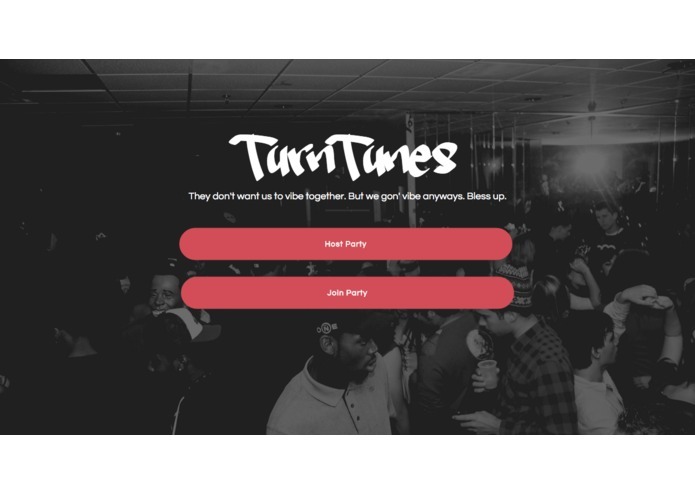 TurnTunes allows the DJ of the house party to host a party, and the associated "secret code" for the session can be distributed to guests so they can add their suggestions to the playlist by hitting "Join Party" and entering the code. Finding the best API available to stream music. It works. And it looks lit. We learned how to use the Youtube Search API, the Spotify Web API, and the Firebase API for real-time data synchronization with multiple clients. The Youtube API implementation will be more reliable in months to come, and possibly a Soundcloud version will be implemented as well. Fingers crossed, the Spotify Web API will soon have better features as well. The domain we bought for the "Best Domain Registered on Domain.com (MLH)" challenge was turntunes.com, but domain.com did not process it in time for submission.